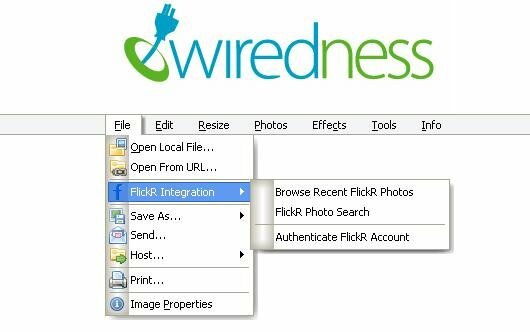 People who don't want to shell out for Photoshop have yet another alternative for online photo and picture editing: Wiredness. Like Fauxto and VicImager, Wiredness has the feel of a desktop application, but runs in your browser. You can upload a photo from your computer, search for one on Flickr, or enter the URL of the picture you want to edit. Simple editing like resizing, zoom, changing contrast, removing red eye, and adding text are supported. It's not the most sophisticated online photo editor, but it does the job if you aren't looking to do anything fancy. For more complex image manipulation tasks, you'll want to take a look at editors like Fauxto or WebPicTool.